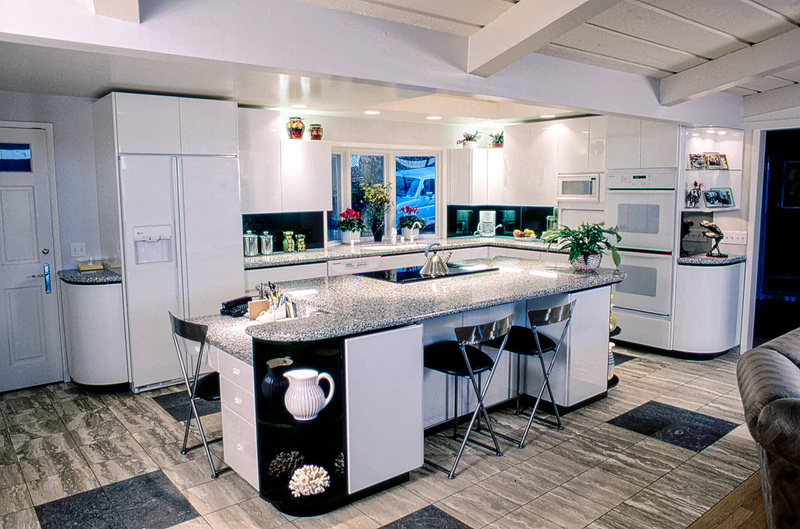 If you compare the pictures of this kitchen with the same kitchen we did for this client in 1981 you will see striking similarities in the basic functional layout. 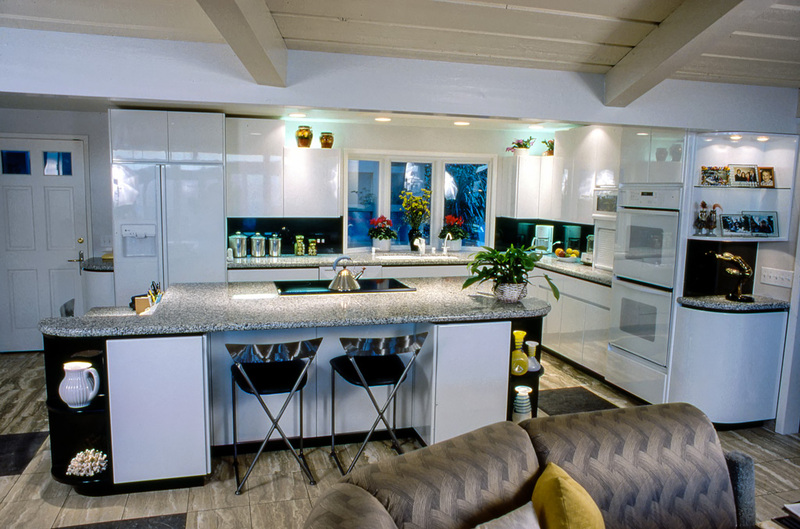 If you compare the pictures of this kitchen with the same kitchen we did for this client in 1980 you will see striking similarities in the basic functional layout – the colors, textures, materials, and accent details have changed dramatically in this updated version of this kitchen. The client felt this renovated kitchen is the one they would have built back in 1981 if their budget then would have allowed it. 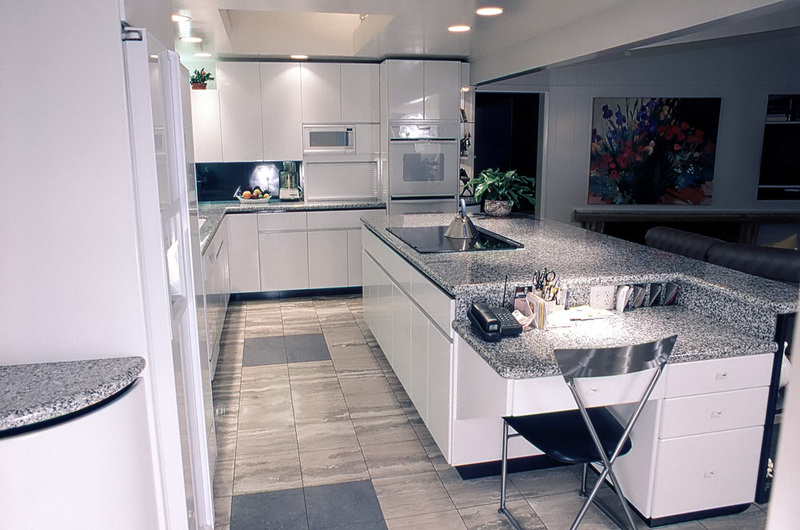 The fact that the client was insistent on not changing anything in the layout from the original kitchen design is a testament to how well the original solution fit this client’s needs and maximized the utility of the space in which this kitchen resides.